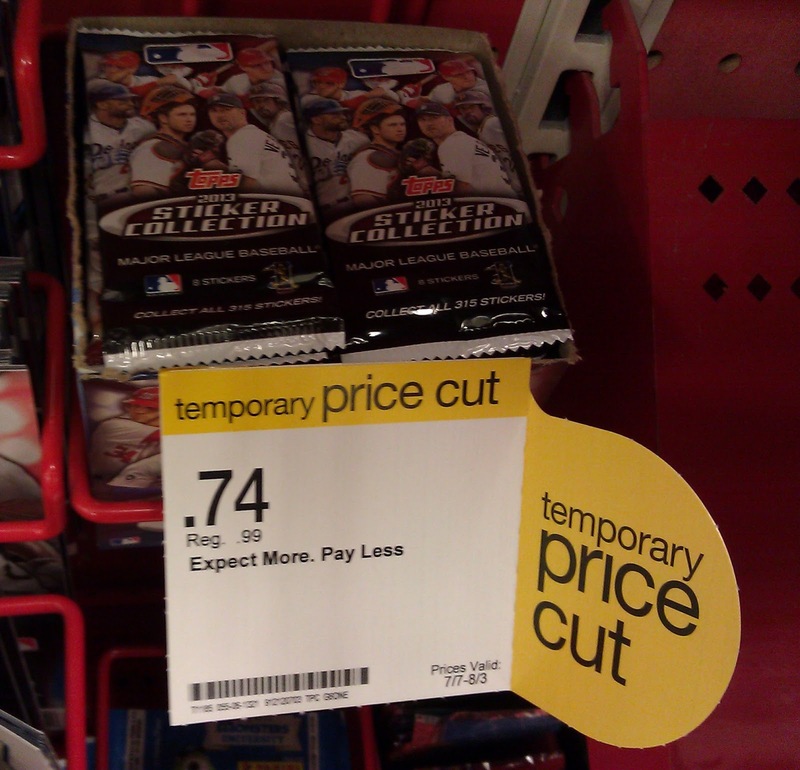 After my post yesterday on Target's sale on 2013 Topps Series I, Opening Day, and MLB Stickers no one else [through comments on Twitter] was able to find the same sale at their local Targets. 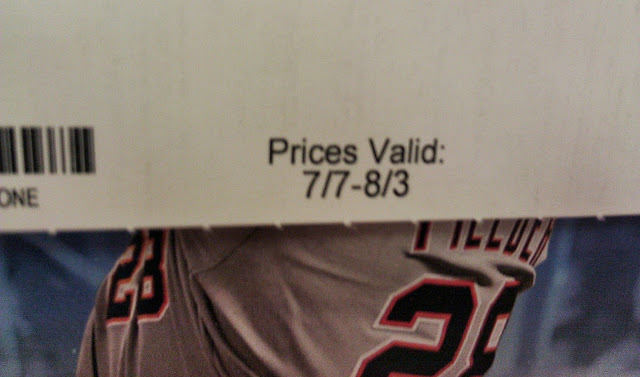 While I was out and about today I went to a different Target and was able to find the same sale. This time around I snapped some photos. These sales look to be going through August 3rd around here. Maybe Minnesota is just a wonderland of discounted cards currently. No, all the Targets should have the sale going on. I'm in Northern IL and all the ones I frequent have the sale. I believe the catch is that they didn't put the sale signs up. Many times it takes a while for the signs to go up in the card aisle. There are no sale signs at my local Target in Idaho, but the packs are on sale here, too. 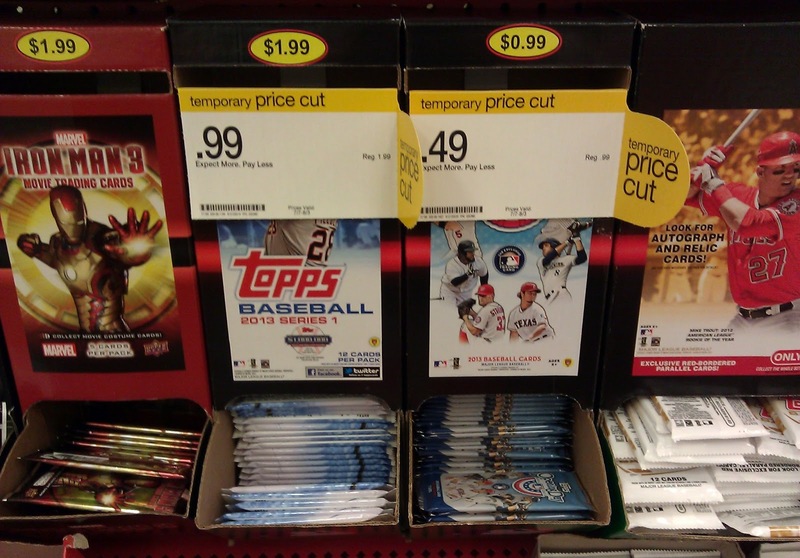 $0.99 for Topps Series 1 and $0.49 for Opening Day.